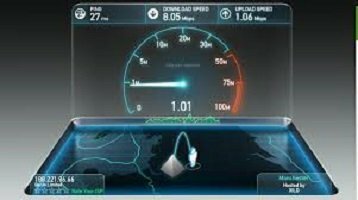 The big internet providers are to be made to change the way they advertise their broadband speeds. Presently they can advertise the highest speed at the be st time for them to appear fast with a phrase that says ‘up to’ which basically means they can give you poor service and get away with it. Fewer than 10% of homes would get the best speeds. The Committee on Advertising Practice (CAP) has announced that from May 2018 such companies will have to advertise their average speeds at peak times of the day for at least 50% of their customers. This would give a very different picture to the current one! Even some eastern European countries are receiving better speeds than the average UK home because our exchanges have not been upgraded and are using old copper cable systems. Whereas some countries have been upgrading to the newer fibre optic switching exchanges. This is good news for many of use. Especially as some homes have experienced up to 62% slower speeds than promised.